Pareidolia (Tea for Two), originally uploaded by RJ Raines Art. 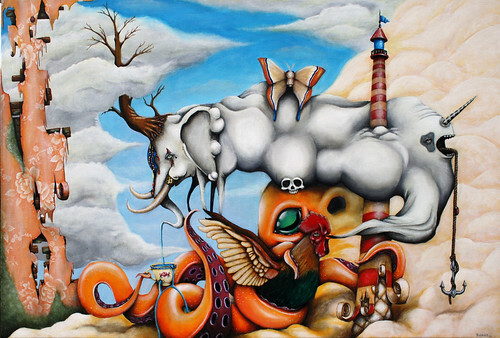 Surreal painting done in acrylic on canvas. It measures 24"x36"